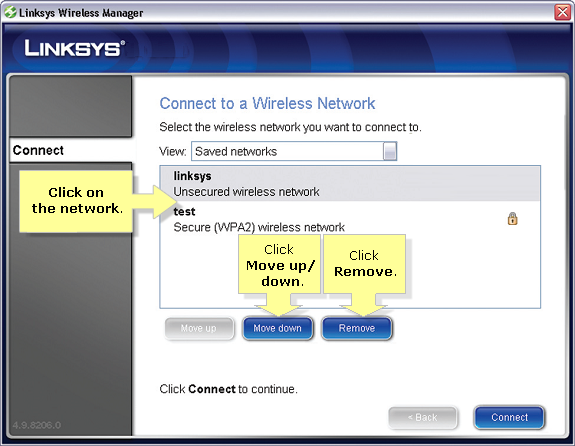 When you connect to a wireless network, it is advised that you save its settings so that it will be easier to reconnect to the network at a later time. This is most helpful with hidden networks; if you do not save a hidden network’s settings, you will have to re-enter the network name (SSID) and security key or network key every time you connect to that network. 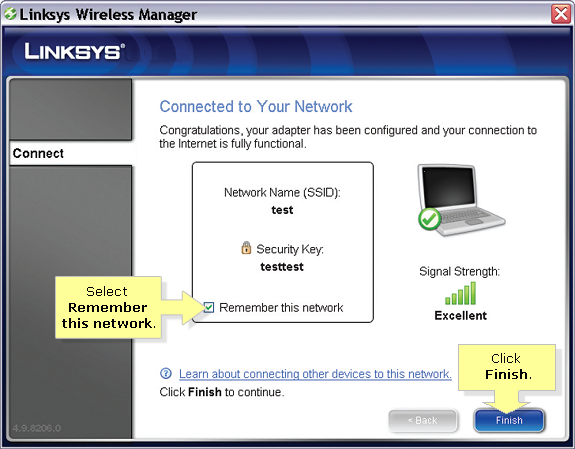 To learn how to Connect to a Hidden Wireless Network, click here. To save a network, select Remember this network in the Connected to Your Network screen. NOTE: This is the last screen that appears when you connect to a network. 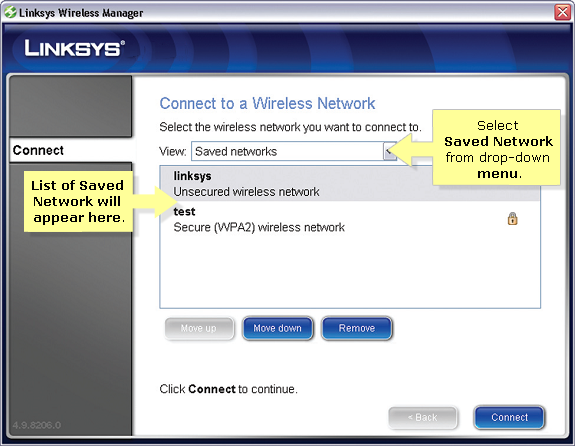 To see a list of your saved networks, select Saved networks in the View drop-down menu of the Connect to a Wireless Network screen. Delete a Saved Network/Change network position. To delete a saved network form the list, select the network and click Remove. To change a network's position in the list, select the network, and click Move up or Move down.